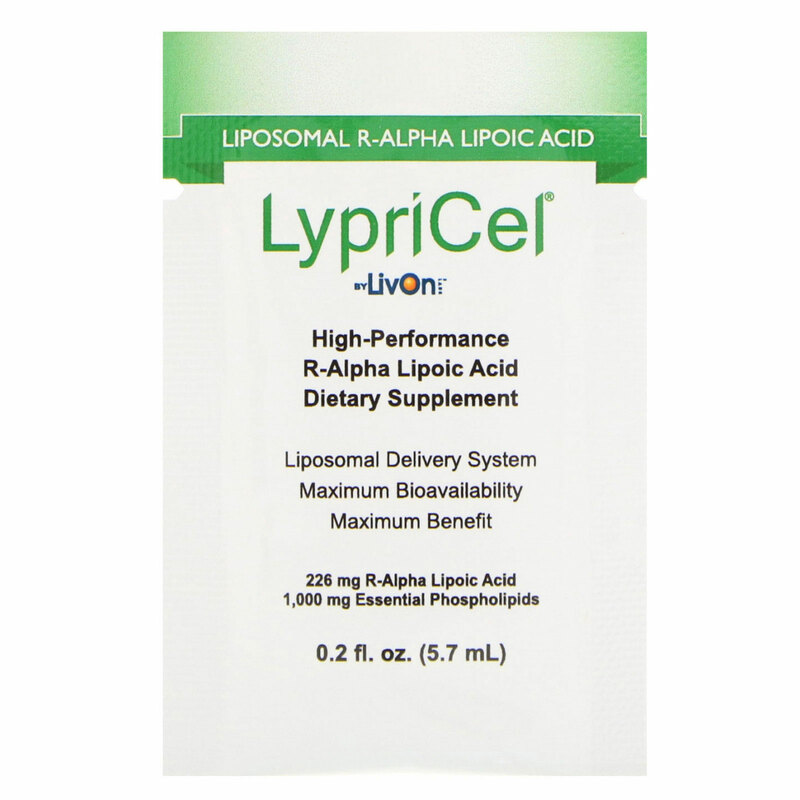 R-Alpha Lipoic Acid (R-ALA) is one of the body's most powerful intracellular and extracellular antioxidants. Known as the Universal Antioxidant, R-ALA directly affects the health of nearly every cell in the body, and can even cross the blood-brain barrier. 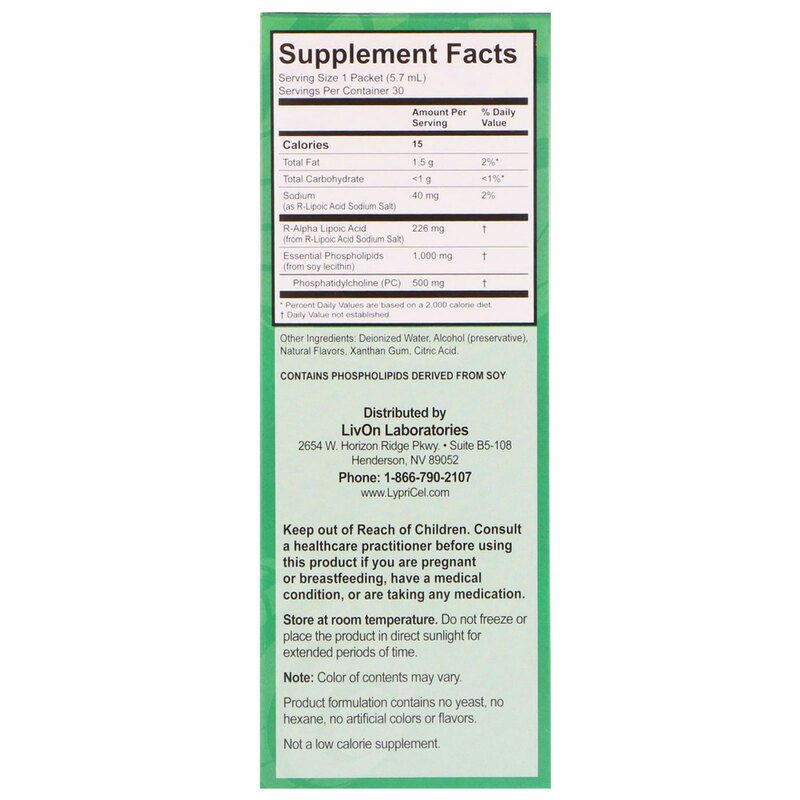 The "R" form of ALA is considered the most bioavailable and biologically active form of ALA in the body. 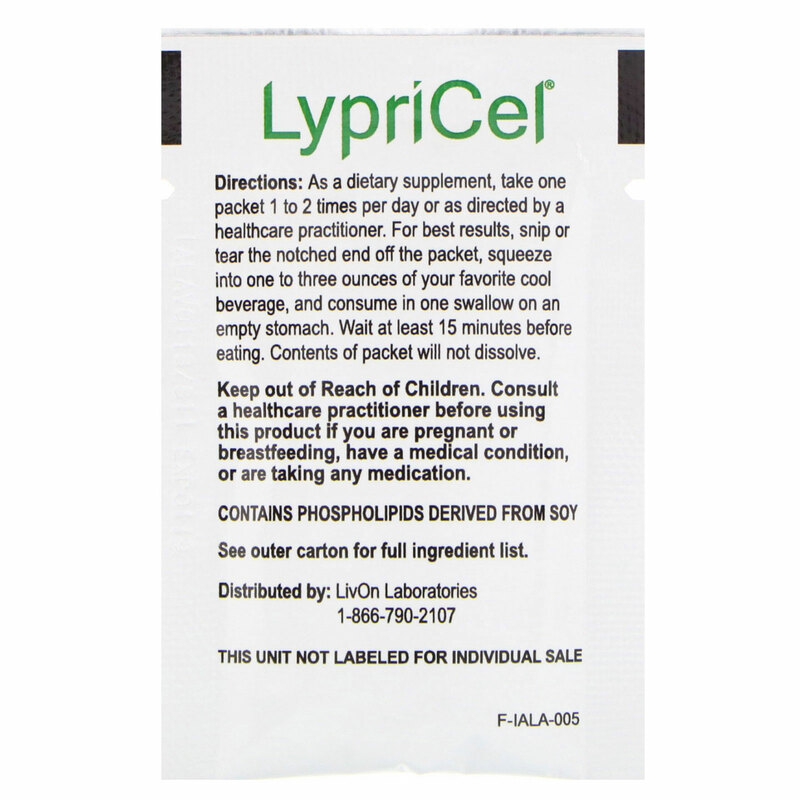 LypriCel R-ALA delivers high-quality R-ALA in every packet. Supports weight-loss when combined with a low-calorie diet. Traditional supplements can be destroyed in the digestive system and flushed from the body without providing benefit. 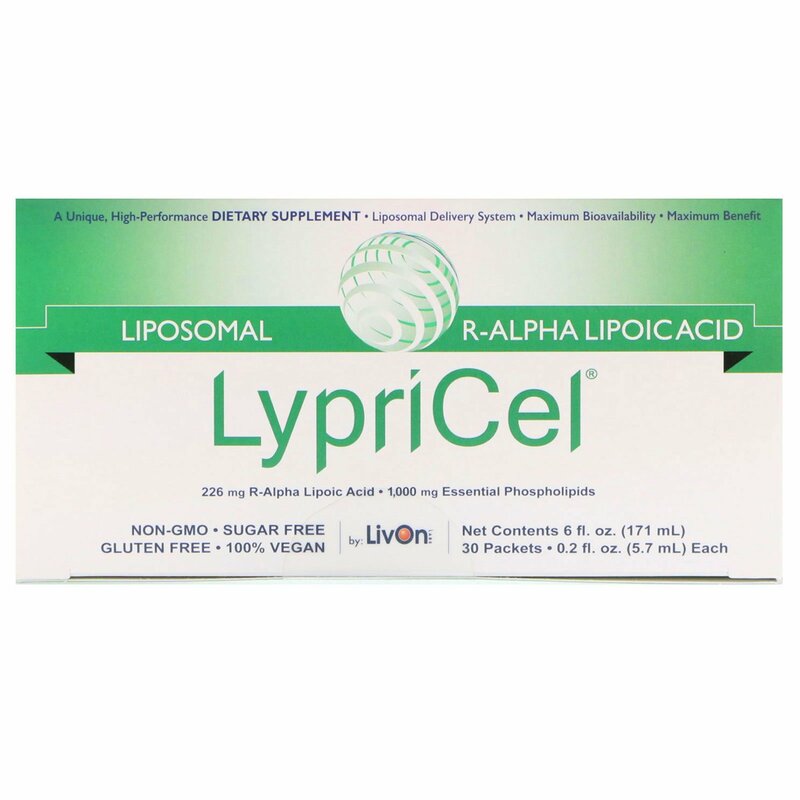 LypriCel uses liposomes made from Essential Phospholipids to protect the active nutrients from destruction. Our nutrient-filled liposomes bypass absorption barriers in the digestive system, entering the bloodstream and cells - intact and ready to work. Liposome diagram shows how the tails of phospholipids turn inward to form a bilayer membrane and encapsulate the nutrient. As a dietary supplement, take one packet 1 to 2 times per day or as directed by a healthcare practitioner. For best results, snip or tear the notched end off the packet, squeeze into one to three ounces of your favorite cool beverage, and consume in one swallow on an empty stomach. Wait at least 15 minutes before eating. Contents of packet will not dissolve. Deionized water, alcohol 12% v/v (as a natural preservative), b-blocker (natural flavor modifier), natural lemon flavoring with other natural flavors, xanthan gum, citric acid (for pH adjustment). This product formulation contains no genetically modified organisms (GMOs), no sugar, no starch, no artificial flavors, no artificial colors, no meat products, no dairy products, no wheat, no gluten, and no yeast. Keep out of reach of children. If you are pregnant or breastfeeding, consult a healthcare practitioner before using this product. Color of contents may vary due to natural sources of ingredients.